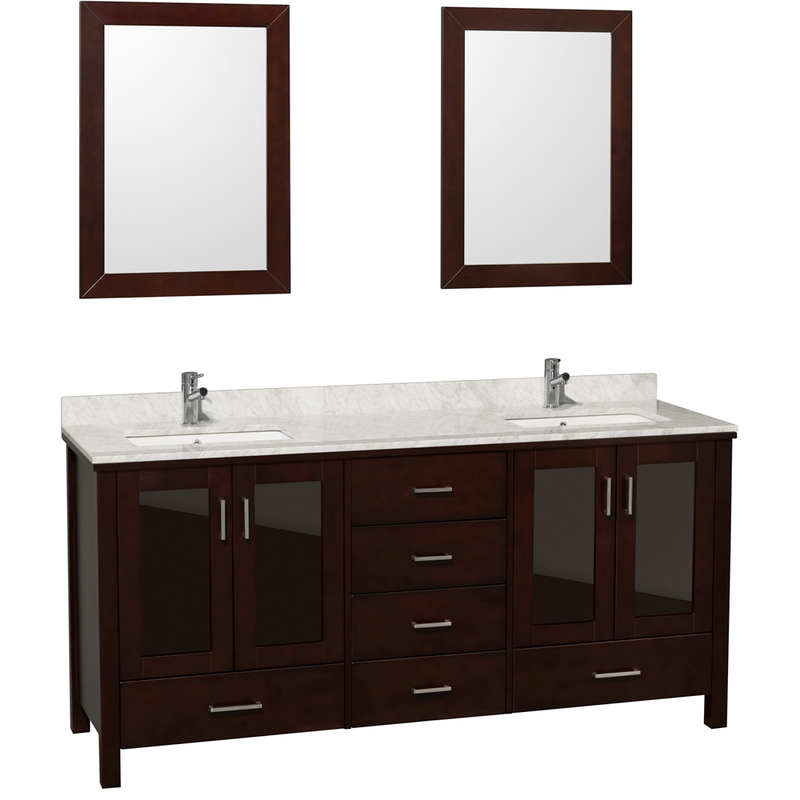 With its attractive front and durable construction, the 72" Lucy Double Sink Vanity will do wonders to the style of your bathroom. 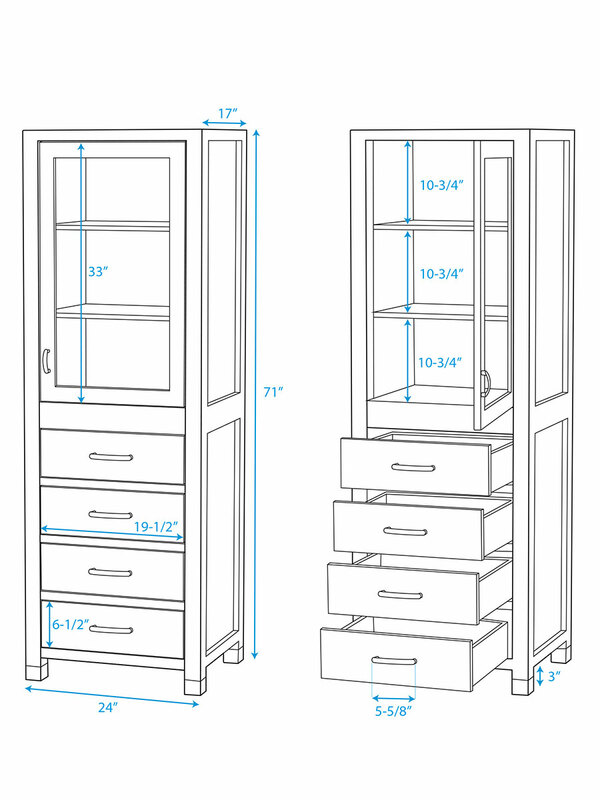 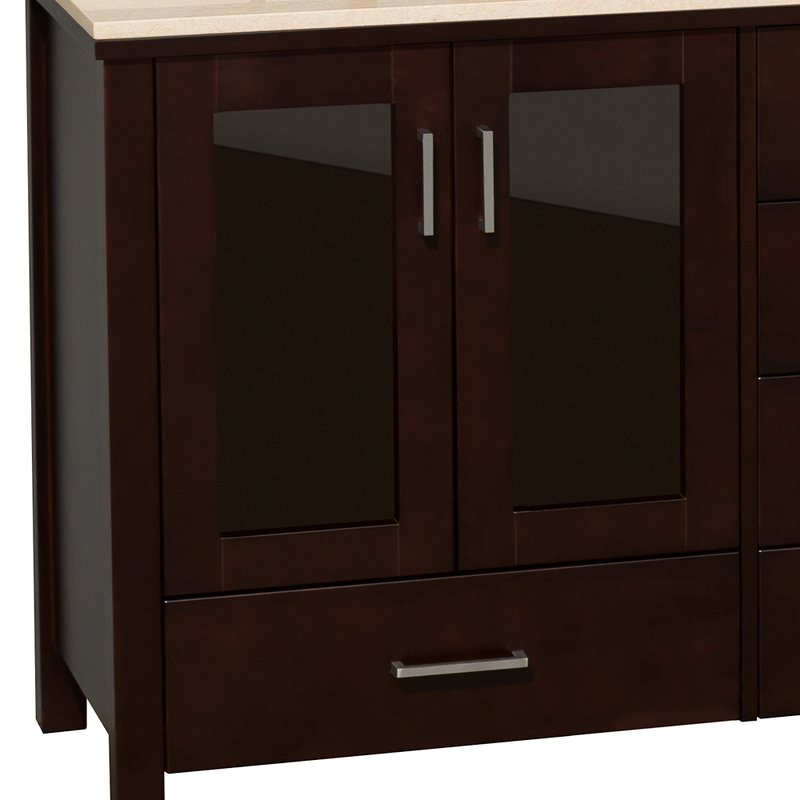 Finished in a deep, handsome Espresso finish, this cabinet boasts two double-door cabinets accented by glass doors, along with six fully-functional drawers. 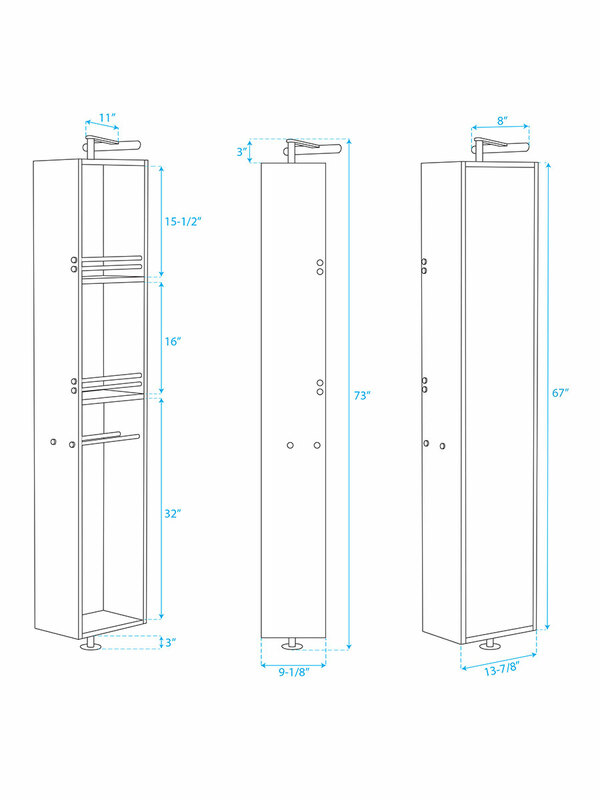 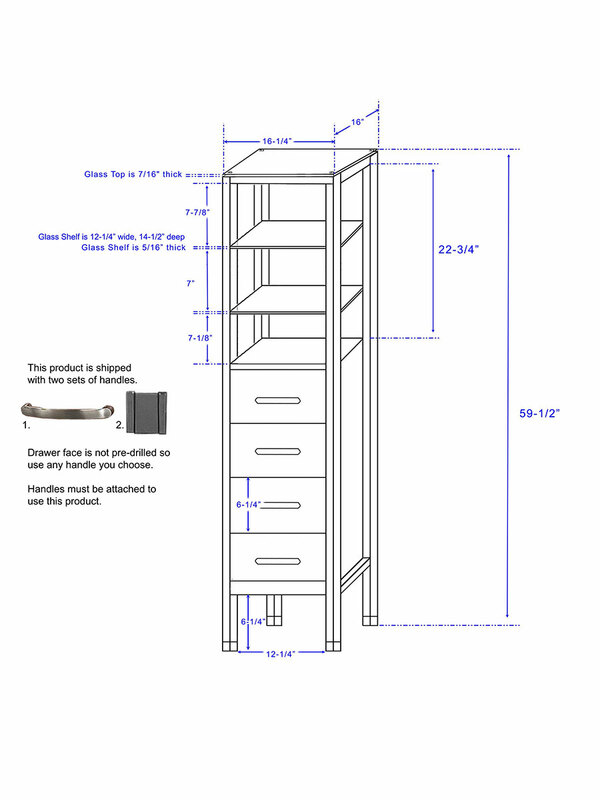 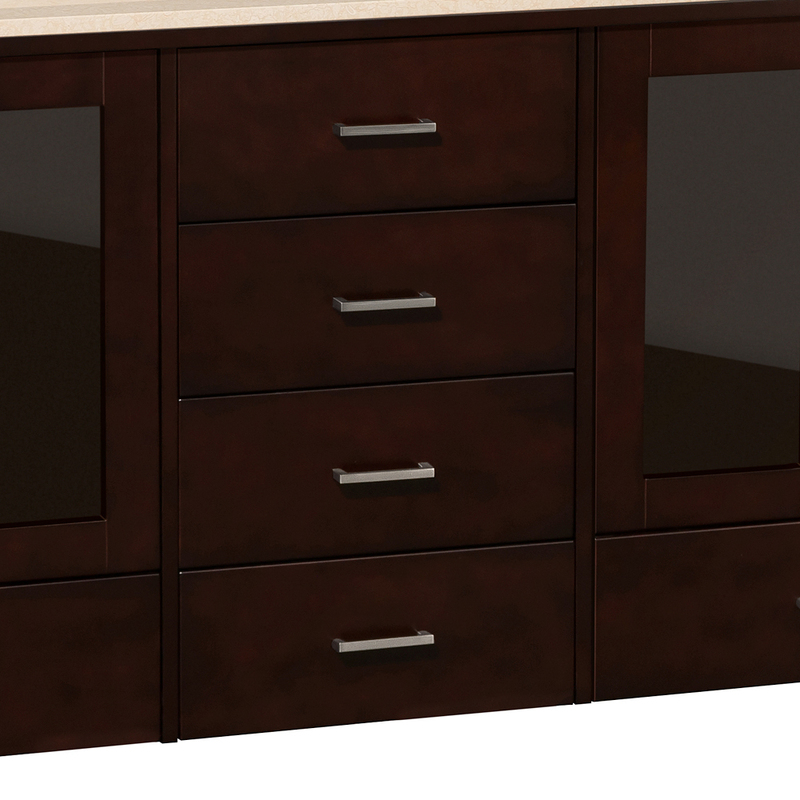 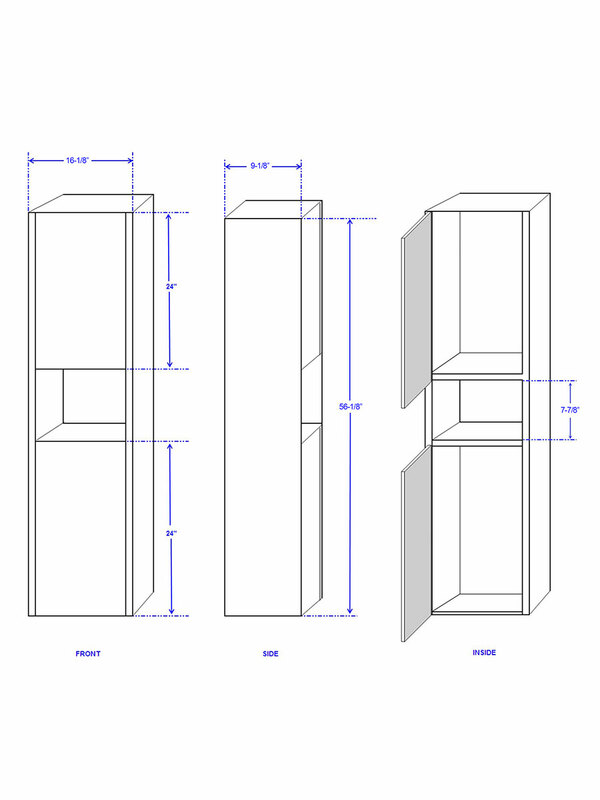 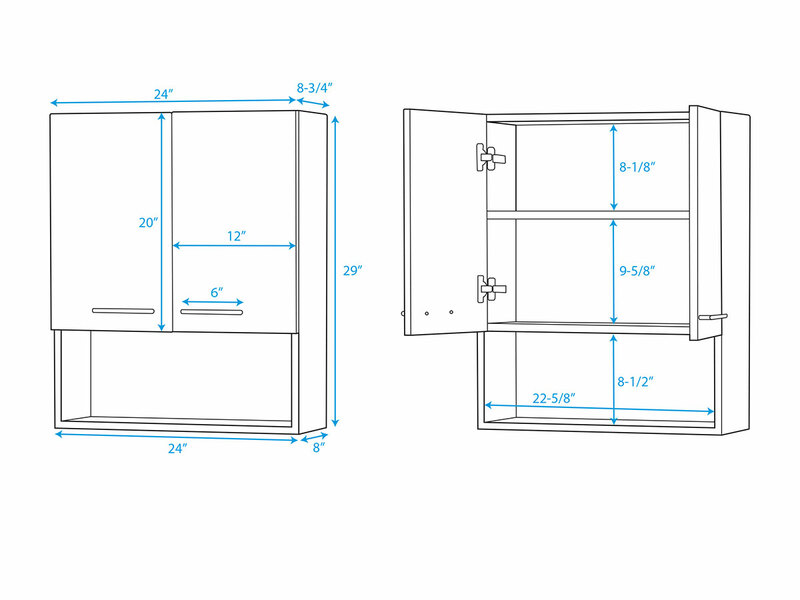 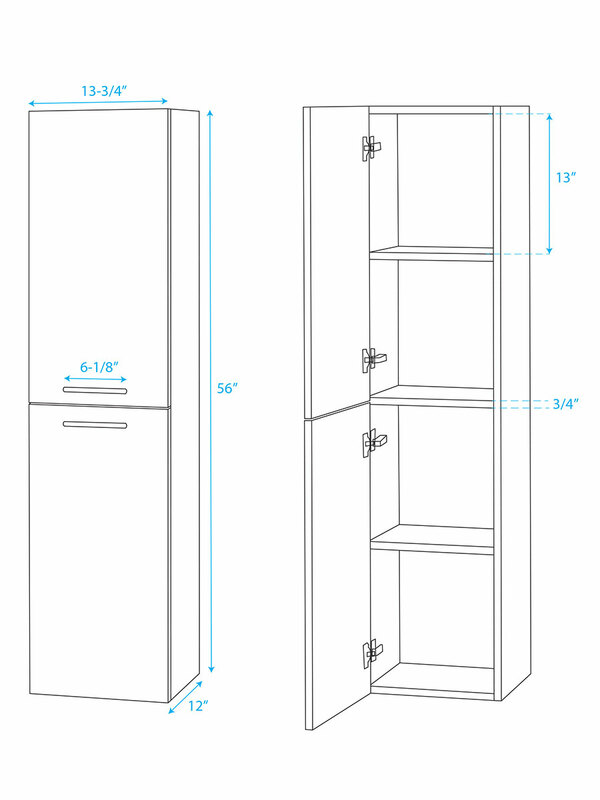 Each drawer front and cabinet door is adorned with a Brushed Chrome handle. 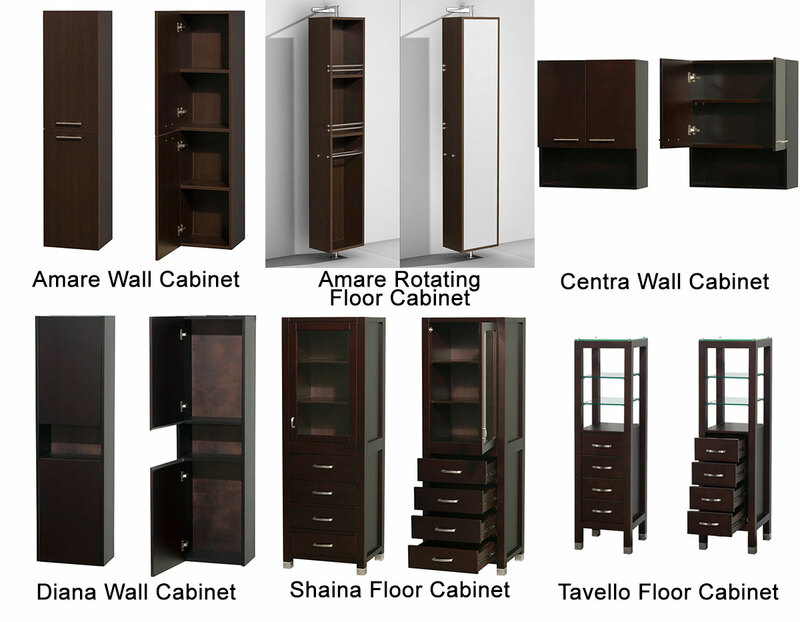 The top is available in either a Carrera White Marble or an Ivory Marble. 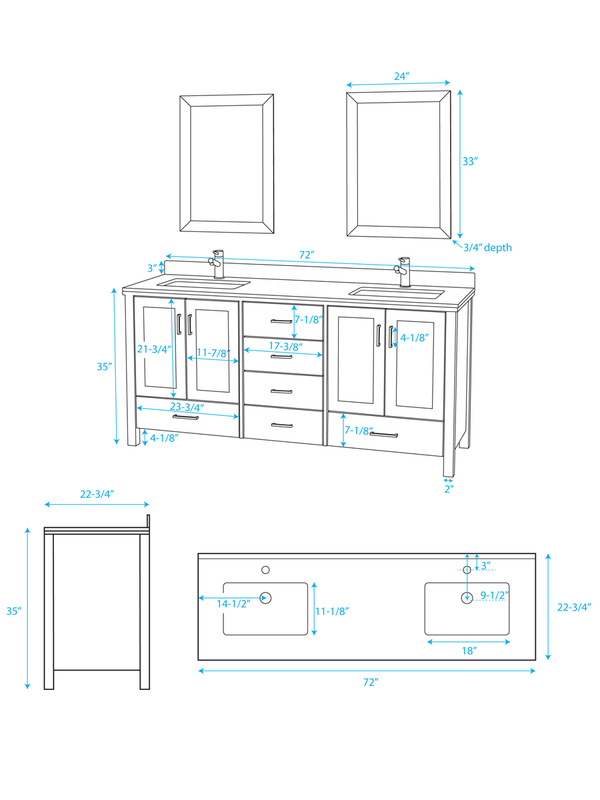 Each top option comes with two square porcelain undermount sinks. 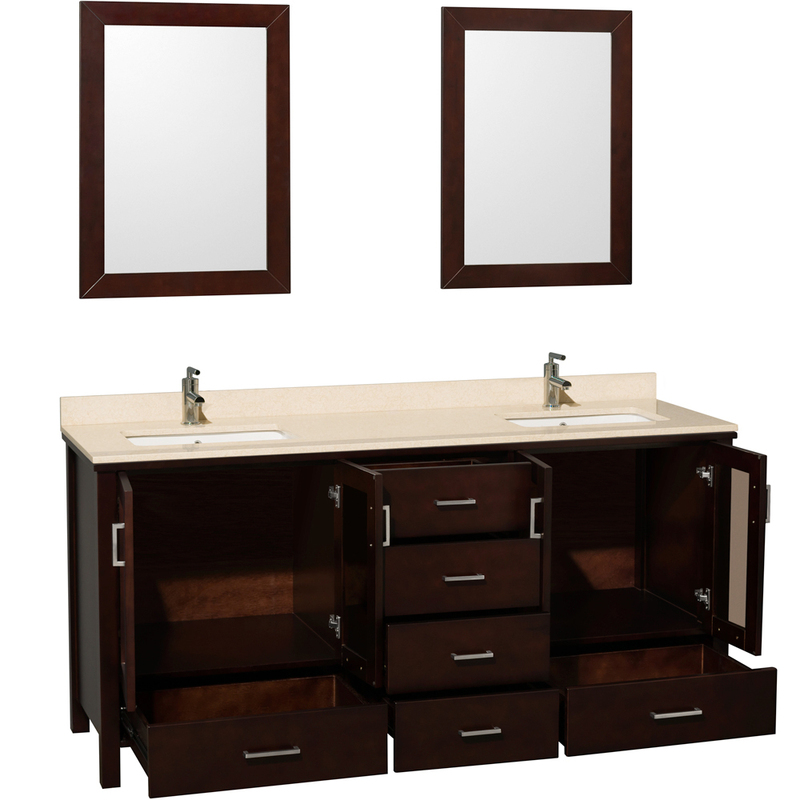 Two matching mirrors are also included with the Lucy Vanity.